I have to admit that when I read that this week's blog theme is Feghoots, I had no idea what it meant. Naturally I did some research and to my amazement, I realised that I actually have a stock pair of feghoots in my comedy repertoire. Who would have guessed that these two tall tales that dwelt in my cluttered brain for over forty years, nameless and uncelebrated, are actually feghoots? At last they can be brought back into the spotlight where they belong. A long time ago, a Romanian Count, thought to be a spy, was captured by the Russians. He was taken to a dark dungeon and tortured for days but refused to give up his secrets. Finally, his Russian interrogators told him that they would cut off his head. He was put on the block and told that if he did not agree to give up his secrets before they counted to three, he would die. They counted one … no response. Two … no response. Then just as they reached three, the Count shouted, "Alright, I will tell." Unfortunately the axe was already falling and his head was cut off. "Don't hatchet your counts before they chicken." 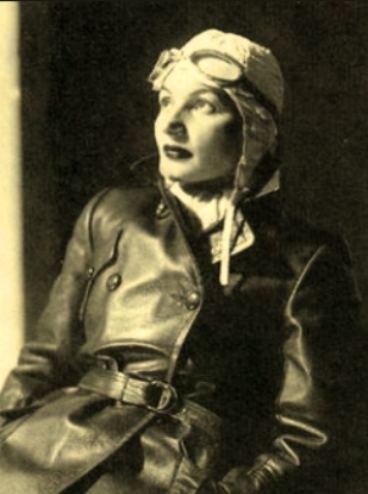 During World War II, a brave Russian spy was given a daring assignment, to parachute behind enemy lines to rendezvous with a shepherd who would take her to meet with the French Resistance fighters. It was hoped that with better training and weapons that the French would be able to undermine the German occupation of their country. Under cover of darkness, the small Russian plane flew over the French countryside and the brave Russian woman jumped out. Unfortunately she was never heard of again! "Red spy at night - shepherd's delight."